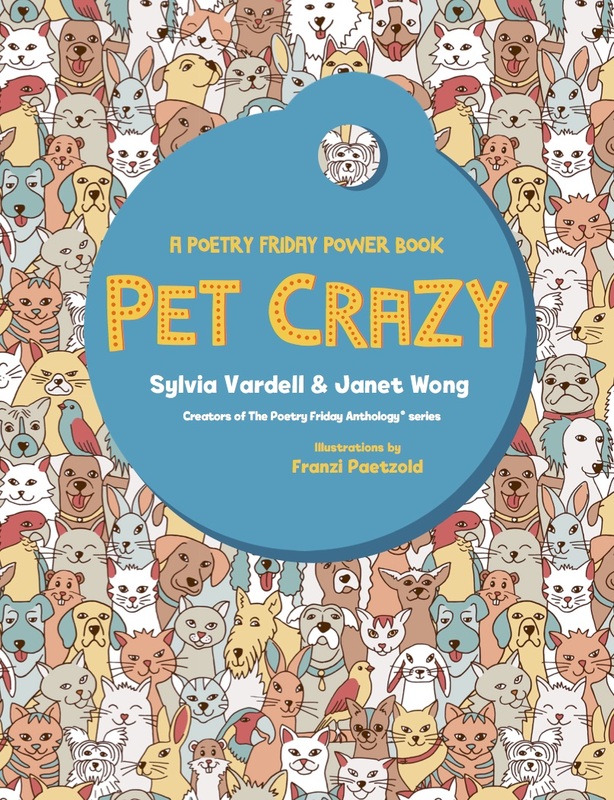 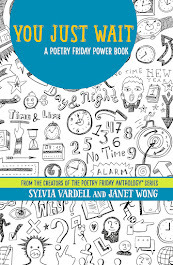 I have recently been tooting the horn about my latest book with Janet Wong, Here We Go: A Poetry Friday Power Book. 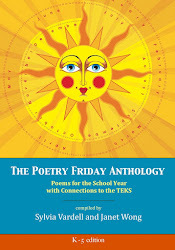 This is the second book in the Poetry Friday Power Book series. 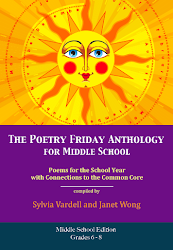 Book 1 in the series, You Just Wait: A Poetry Friday Power Book, was published in September 2016 and was recently selected as a 2017 NCTE Poetry Notable. 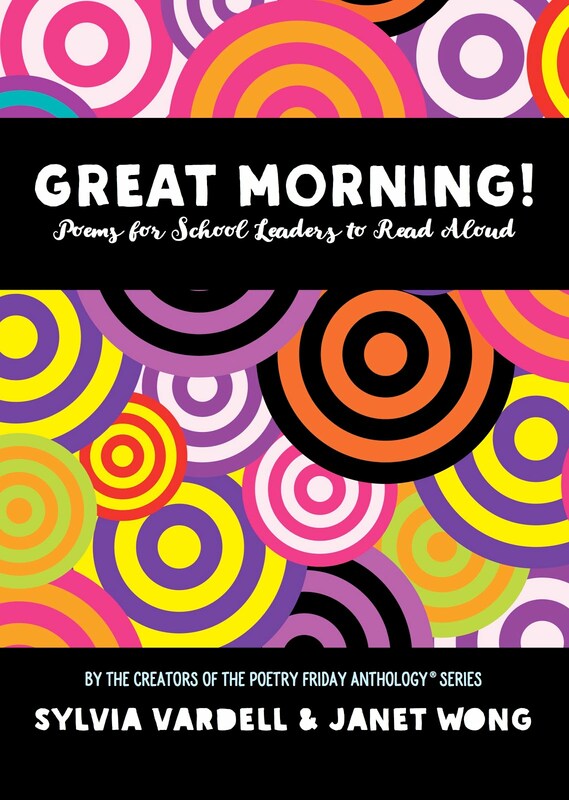 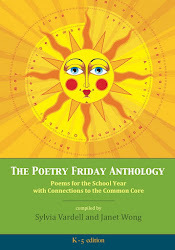 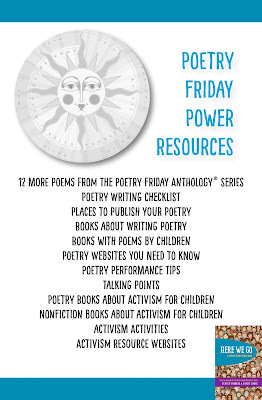 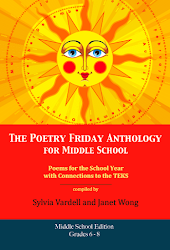 Here We Go: A Poetry Friday Power Book for children, tweens, and teens, features 12 PowerPack sets that combine: 1) diverse anchor poems; 2) new original response poems and mentor poems by Janet Wong; 3) PowerPlay prewriting activities; and 4) Power2You writing prompts. 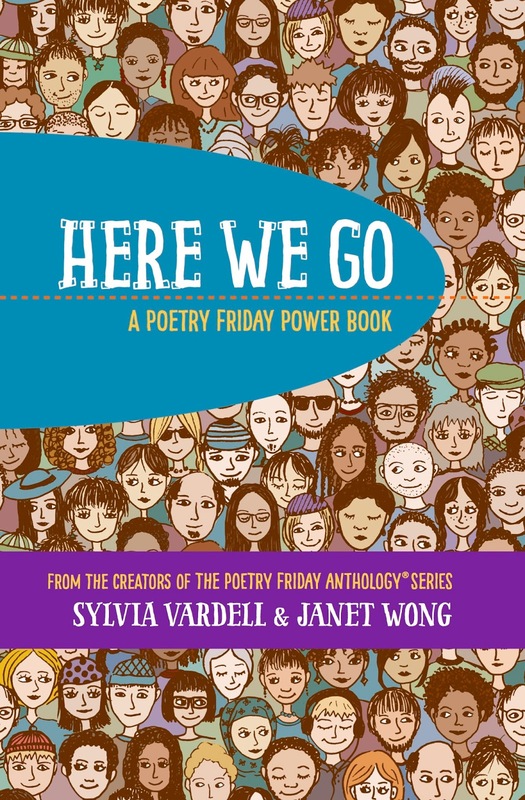 The twelve anchor poems for HERE WE GO were written by: Naomi Shihab Nye, Ibtisam Barakat, Joseph Bruchac, David Bowles, Eileen Spinelli, David L. Harrison, Kate Coombs, Robyn Hood Black, Michelle Heidenrich Barnes, Renée M. LaTulippe, Margaret Simon, and Carole Boston Weatherford. 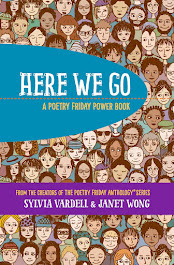 Their poems are joined together with twenty-four new poems by Janet (Wong) that form a story featuring a diverse group of kids who are concerned about social justice. In addition, I created PowerPlay activities to launch each PowerPack and Power2You writing prompts to conclude. 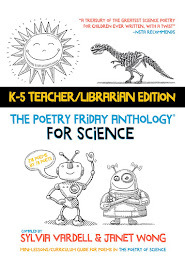 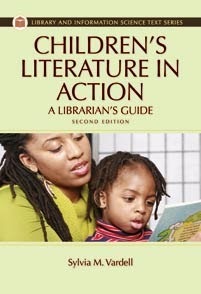 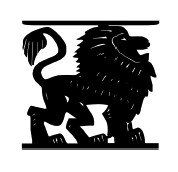 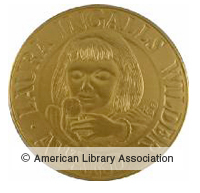 There is also extensive back matter resources for readers and writers. 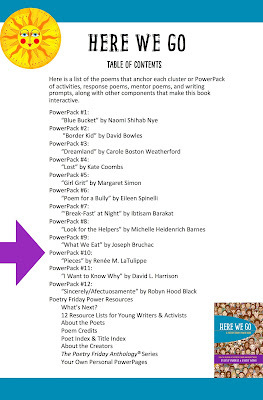 Here's one example PowerPack to demonstrate how this works. 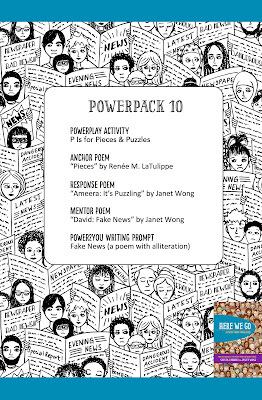 This is PowerPack 10. 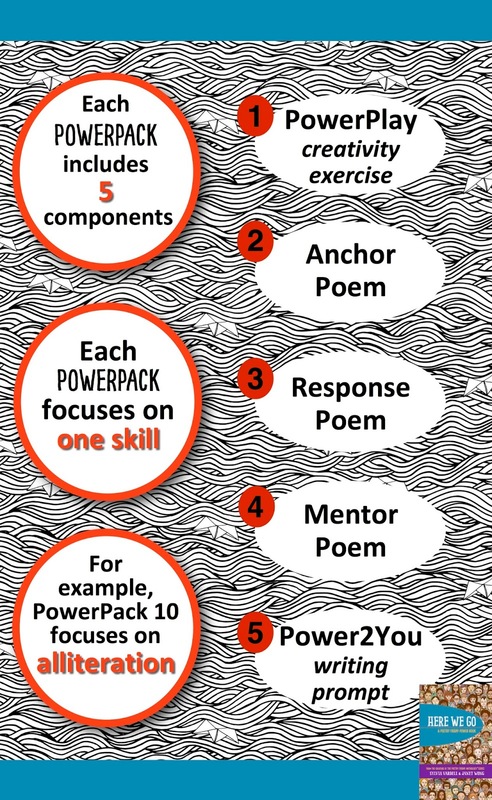 The skill focus for PowerPack 10 is alliteration. 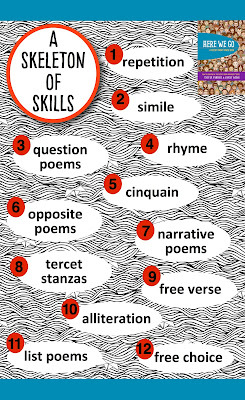 There are 11 different skills woven through the poems in this book with one skill focus for each PowerPack. 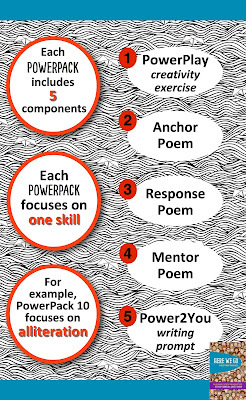 Each PowerPack infuses that skill through each component of the PowerPack-- from the PowerPlay activity, through the three poems, to the final Power2You writing activity. 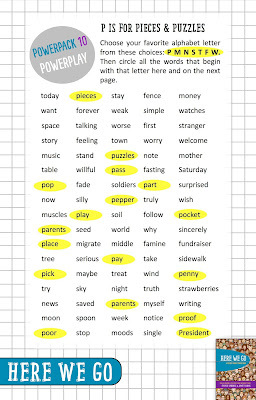 First, students "play" with language. 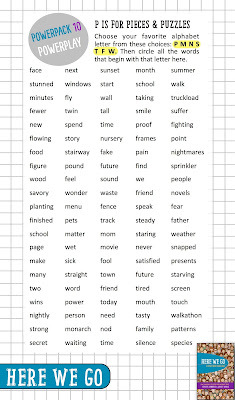 In PowerPack 10, they choose one of these letters: P M N S T F W and then circle all the words that begin with their chosen letter-- setting the stage for pointing out what alliteration is. 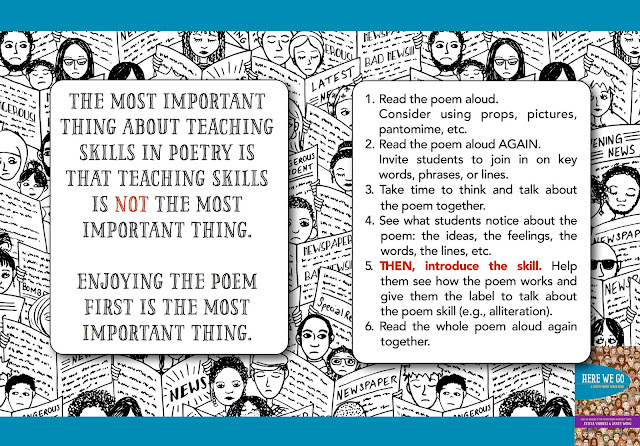 PLUS, all the words come from the poems in the book. 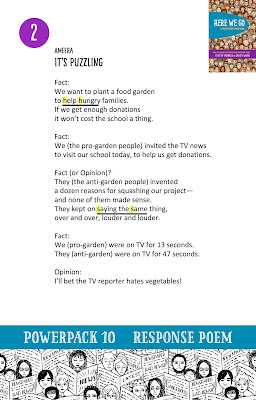 "P" words are highlighted here. 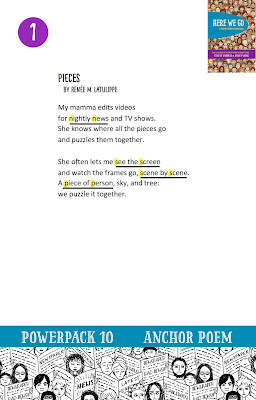 After students have read the poems and talked about them, you can go back and read them together and look for examples of alliteration-- the repeated use of initial consonants. 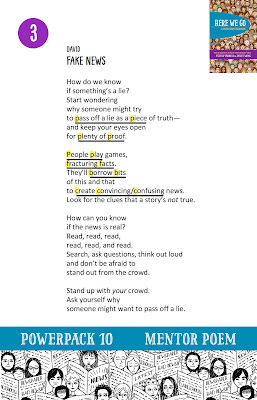 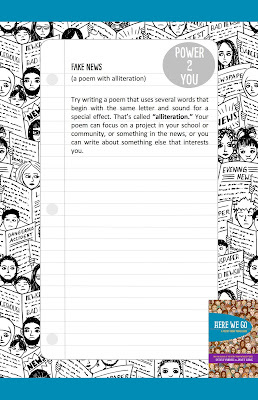 There are examples in each of the three poems in this PowerPack highlighted here. 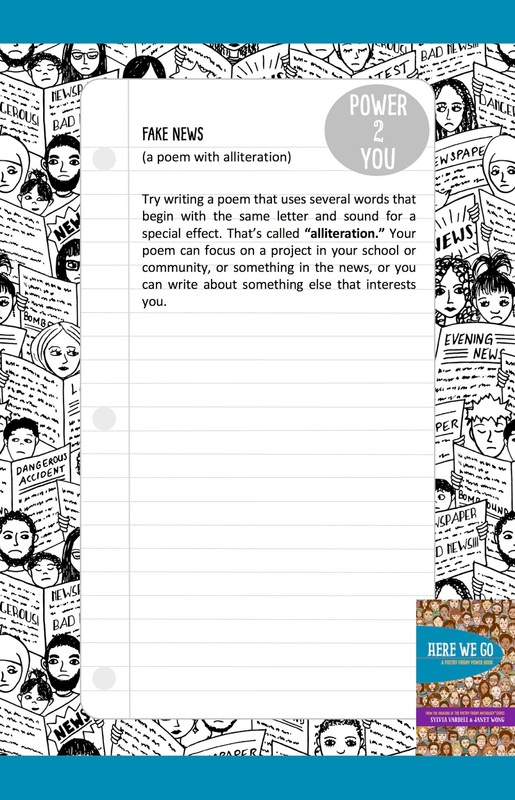 Finally, students also have the opportunity to write a poem and experiment with alliteration in their own poems in the final Power2You activity page. 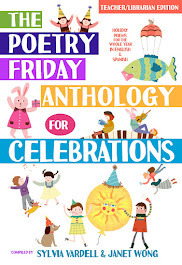 Now head on over to Penny's place for the Poetry Friday gathering.